Situated in close proximity to St. Catherines Point on the Isle of Wights southernmost shore, Castlehaven Caravan Site is a small privately owned and run retreat set close to the water's edge, enjoying incredible sea views. A visit to Castlehaven gives you the chance to relax in unspoilt surroundings and is an ideal setting for families, walkers, nature lovers and those just wanting to get away from it all. This caravan site is close to the village of Niton and the spectacular Undercliff and yet still handy for all the Island's attractions. 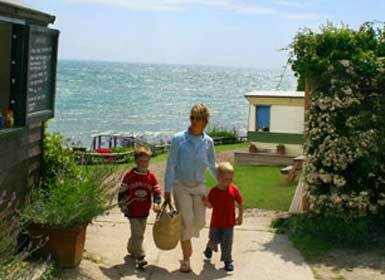 Castlehaven is the ideal starting point to explore beautiful villages and unspoilt beaches of the Isle of Wight.